Flat brim, 5 panel, hat. 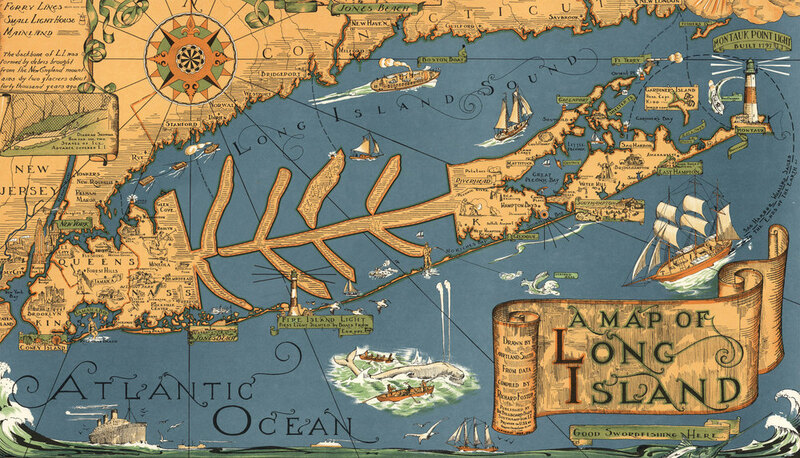 Print of the iconic Map of Long island Drawn by Courtland Smith from data compiled by Richard Foster, Black brim. LI Fish Label sewn on front.